The Legion expansion has seen something of a resurgence of interest in World of Warcraft, especially the highest levels of play. This has meant renewed demand for coverage of the progress race, as noted in our interview with top WoW guilds[https://www.pcgamesn.com/world-of-warcraft/wow-raiding-nighthold-method-danish-terrace-death-jesters]. The idea of support from Blizzard was brought up by them, but what does the developer think? Check our WoW patch 7.2 roundup for what’s coming next. This will be good news for Method, Serenity and Exorsus as they continue to fight for the top spot, but may come a little late. 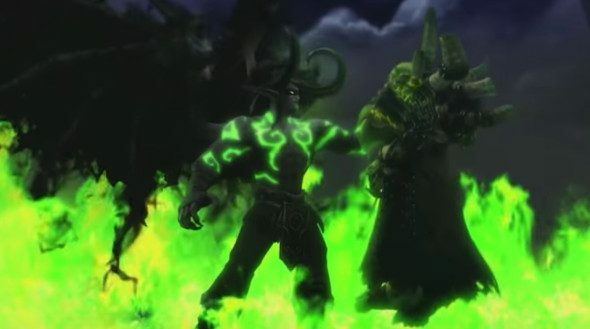 Several guilds have announced their intention to stop raiding in Legion, citing the grind, which doesn’t look to be getting much better come 7.2. Even Danish Terrace, one of the guilds hitting targets and building a fanbase in Legion, have hung up the damage meters. As for how Blizzard might implement it, no announcements yet. “We’ve been doing the live raid races for a long time, just to see which team can do it better – that’s still competitive. It’s not your traditional eSports where it’s two teams head to head, the dungeon races is another one. Even though you’re not going head to head with another player, I think that’s exciting to see. Phan and Blizzard are well aware of the challenges surrounding it too, with new raid content being the most interesting but also the most competitive when it comes to strategies and secrecy. “I think it is important to make sure, at the end of the day, there is integrity in the competitive landscape,” she continues, pointing out that ‘tournament servers’ are becoming much more popular for having a consistent environment for players to compete in. Something like that may work for WoW PvE too. If and when it happens, it’ll take some time to get it right. “I think in order to support it more widely, especially if it’s going to be big and successful, we always start off with a test, see how it goes, do some broadcasts on it, get the feedback from everyone – do they enjoy watching it, is it fun to watch? Do we have the tools in place in able to support it?